We live in one of the historic neighborhoods of Central Phoenix. As a direct result of the most recent "Urban Chicken Coop Tour, "http://tourdecoops.org/ my wife and I have decided to become urban chicken farmers. Last weekend, I finished building the coop and the run. Now I hope to build the nesting boxes for our ten hens. We purchased the chicks just before Easter and we believe they'll be ready for egg-laying by the end of summer. 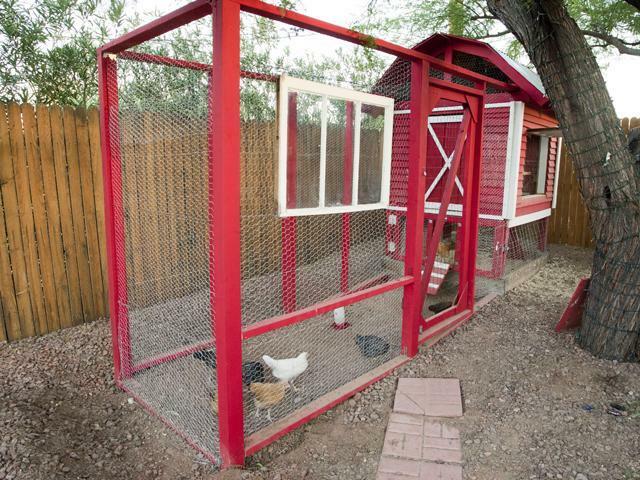 Our flock consists of the following: one Leghorn, two Plymouth Rocks, three Buff Orpingtons and four Ameraucanas. We have two children and they are very much involved in this experience. Its been great to see their excitement, each morning and evening, as they check on their chicks. 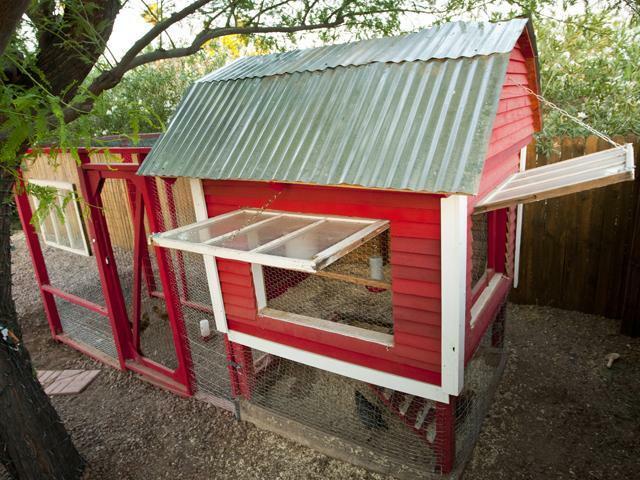 I built the coop over the base of what used to be the boys' sandbox using recycled wood and metal whenever possible. That kept my costs down and forced me to get creative. I wanted something that would be comfortable to clean yet secure enough for the girls. The run was added soon after so the girls will have a place to be while I figure out how to build their nesting boxes. I've got left over roofing material and plenty of scrap 2x4s. I hope to have this done by Father's Day. So far this has been a very rewarding experience and we haven't even had our first egg yet. The girls seem very happy and when they see us they get very excited.